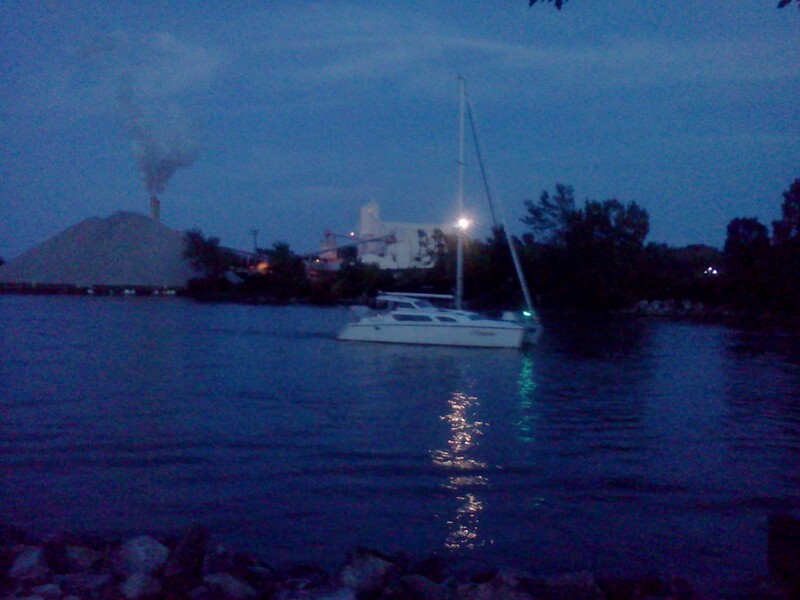 I often walk to the mouth of the Huron River in the evenings. There are a few different destinations. One is the lake park with the new benches that replaced some old, wooden ones. Here are great views of Lake Erie and the cove the park sits on. A sandy beach is often being explored by kids and parents alike. Sometimes there are picnickers at the tables in the large grassy area. Often there are people just watching the water or waiting for the sunset. A second destination is the long pier to the light. I don’t try to walk on the rock jetty at the end to reach the light but enjoy the views of Lake Erie surrounding the end of the pier and of the light itself. I encounter many who are fishing, often whole families, people on their jogging runs, walkers like me and even tourists speaking foreign languages. It’s a great place to hike and enjoy the water and maybe meet a new person or two. The City of Huron is redeveloping the area just before entering the pier walkway and doing a nice job of it. That area is between the pier and the third spot I like to walk to. It is a gazebo area in grass with a couple of nice benches next to the river directly across from the Lime Plant. There usually isn’t anyone there although I did encounter a fella fishing there awhile back. It’s peaceful and quiet and scattered with views of blue heron, seagulls, ducks paddling in the river and Canadian geese flying overhead or cruising up the river. But one night recently I went to watch the boats coming in and a surprising number going out considering it was getting dark. Labor Day weekend and it was Saturday evening so there were a lot of boaters out. Kind of the last hoorah before back to work, school and the promise of a cooler fall coming. Photography in what amounts to the dark is difficult with the right equipment which I didn’t have. But I did get this one shot that I thought turned out well enough to share. Soon the mosquitoes drove me away but the memory lingers in the picture.